The new 3 IN 1 130db PERSONAL ALARM WITH LIGHT is the only alarm that can act as a flashlight, personal alarm, laptop computer alarm, and window or door alarm. The first is a standard smart hook that can be used on your belt loop or purse. 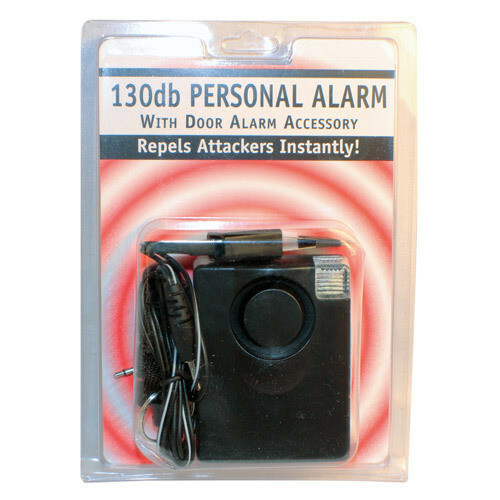 Second is the window or door alarm attachment that can be used on a window, door, or as a laptop alarm. When the alarm is activated there is a strobe light to attract attention. The unit also has a button for the flashlight function. It runs off of one 9 volt battery not included.